If you took a poll, most people would admit to wanting to look better, younger and more physically fit, but for some, going ‘under the knife’ seems a bit too much for the price of beauty. With the advancement of technologies in laser treatments and aesthetics, there are currently many alternative ways to erase those unwanted marks of aging. To help in becoming a more beautiful you, Dr. Leigh Summer and her staff at Lewisville Laser & Aesthetics will recommend custom treatment plans based on your individual needs and desired outcomes to make you look and feel your best! With 16 years as an established general medicine practitioner, Dr. Leigh Summer began offering the services of laser treatment and aesthetics in 2009 within the practice she shared with her husband, Dr. Mike Summer. “The field of laser treatment and aesthetics appealed to me as a physician because I have always liked hands-on medical procedures. When we added laser and aesthetics to our family practice, I saw the impact the treatments had on my patients. In many cases, results are immediate or within the day. Then there are those treatments that require a little more time to reach the patient’s goal, but in the end you have a happy patient,” said Dr. Summer. One of Dr. Summer’s patients, Amy, said “Dr. Summer’s knowledge of both medicine and aesthetics gave me confidence in her as a physician and in the choice I had made in treatment. She is a true professional and I was very satisfied with my results.” A critical part of creating a happy patient is ensuring that the patient is well-informed. As technology has advanced, so have the results that can be achieved with laser treatment and aesthetics. “The field of aesthetics refers to techniques intended for the ‘enhancement’ of one’s appearance through minimally invasive means. My concern is with maintaining normal appearance, restoring it or enhancing it and there are often several treatment options available to reach the patient’s goal. During the initial consultation I discuss the available options for addressing their concerns, often offering a range of aggressive to conservative approaches. If I feel there is not a reasonable expectation of success with a certain treatment or if I believe other options need to be considered, I will tell the patient so. Consultation is very important in determining what a person expects from a treatment. When we proceed with the treatments, patients appreciate that this is a physician driven practice, with each procedure overseen or performed by myself, which is not always the case in facilities places that offer aesthetics,” Dr. Summer stated. Most of us, when we look in the mirror, see at least one thing we don’t like and we tend to focus on that one perceived flaw. “People seek aesthetic procedures because they are unhappy with something about themselves. When they look in the mirror, whatever their concern, it is what they see first. Offering them a customized level of enhancement can completely change their self-image. Some individuals start off ready to jump in with both feet and pursue a full correction of a flaw, while other people prefer to approach correction more gradually for a less “obvious” change. An example is apparent in the use of fillers. Sometimes we will plan treatments in a stepwise fashion to gradually build, staying more on the conservative side, because you can always add more, but you can’t take away,” said Dr. Summer. If you are considering a particular enhancement, but feel afraid of being “overdone”, we can work within your comfort zone. Wouldn’t you like to talk to someone who has experienced what you are thinking about doing? Lewisville Laser & Aesthetics has that too! For Dr. Summer’s patients, knowing that she has personal experience with the treatments they are considering means a lot. “When a patient asks ‘what can I expect from this treatment’ or ‘is this going to hurt’, I can share what my experiences have been. Patients like to know that I use what I are recommending, showing them that I’m not only willing to do the treatment, but willing to have the treatment done,” said Dr. Summer. Some of the other treatments offered by Dr. Summer include SmoothShapes (for cellulite management), laser hair removal, vein treatment (both laser and injection), chemical peels, and acne and Rosacea treatments. “Patients with acne or Rosacea have many options to consider that weren’t available in the past. Both prevention and correction of rosacea damages are now options,” said Dr. Summer. Latisse treatment to stimulate eyelash growth is also available. In some cases a person just needs some help with their skin care regimen; it can be confusing knowing what your skin type is or what moisturizer is best. Stephanie Hutchens, esthetician at Lewisville Laser & Aesthetics, can give you the answers to your skin care questions and also show you how to best accentuate your features through make-up application. “Healthy skin begins with the proper care and matching products to your skin’s needs. We have GloTherapeutics and Obagi skin care lines. GloMinerals is a hypo-allergenic, pure mineral make-up line to help patient dress up without triggering new skin problems. The coverage can be as light or as heavy as you like, still giving you the smooth feel, even texture and complete coverage you want from a make-up,” Dr. Summer commented. Over the past three and a half years, Dr. Summer has seen the difference aesthetics can make in people’s lives. “Everyone, from women to men and young adults, can benefit from aesthetics. I want my patients to like the way they look and being a part of making that happen is very rewarding,” Dr. Summer stated. Lewisville Laser & Aesthetics is located at 6580 Shallowford Rd., Suite 130, Lewisville, NC. For more information call 336-945-2076. 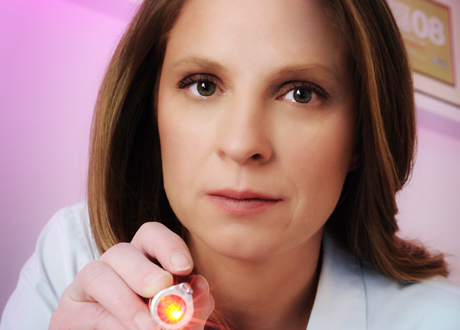 Visit www.lewisvillelaser.com for information on treatments and to view monthly specials.